Oh my gosh, there are some hyped books on this list for this this week! I seriously cannot wait to see what you all have to say! These are all so dang beloved! Again, please oh please convince me to bump these up or bump these off my TBR! Get ready for me to use the word “beloved” a lot while talking about these six books, but this book is so beloved among my friends and even my family. I can’t believe I haven’t got to it yet, but I am so excited! I honest to God do not know why this is on my TBR, because I have to read so many of this books predecessors first! Like, at first I thought maybe I had gotten in signed, and I was just logging it on Goodreads, but nope, this is just randomly on here! I do hope to read this someday, but in the meantime, I am cleaning my TBR off and can read it when I do catch up with this world! *hides forever* I know, fam, I know. This is beyond beloved; this is some of my friends’ favorite book of all time. I have a beautiful edition of this too, so I don’t know what’s keeping me from reading it besides a 200+ TBR! The books keep getting more hyped, and I’m getting more embarrassed. I know I need to read this, and I also know I’m probably going to love this. But, you all should shame me more and tell me to read this immediately if you love it, too! *Cries forever* Too many books, too little time, friends. Okay? OKAY! This is another one that is so very beloved by so very many. Also, I hear there is an angsty love triangle in this, and you all know that is my cup of tea. I really don’t have an excuse for this either! I’m sorry, okay? THE BOOK THIEF is absolutely amazing, a must read!! The Long Way to a Small, Angry Planet is so good!!! Honestly, one of my favorite (if not my favorite) sci-fi books of all times. I hope you get to it soon! I used to find it so hard to do these posts because I’m so bad at taking books off my TBR! I really enjoyed The Shadow of the Wind when I read it and hope you do too. 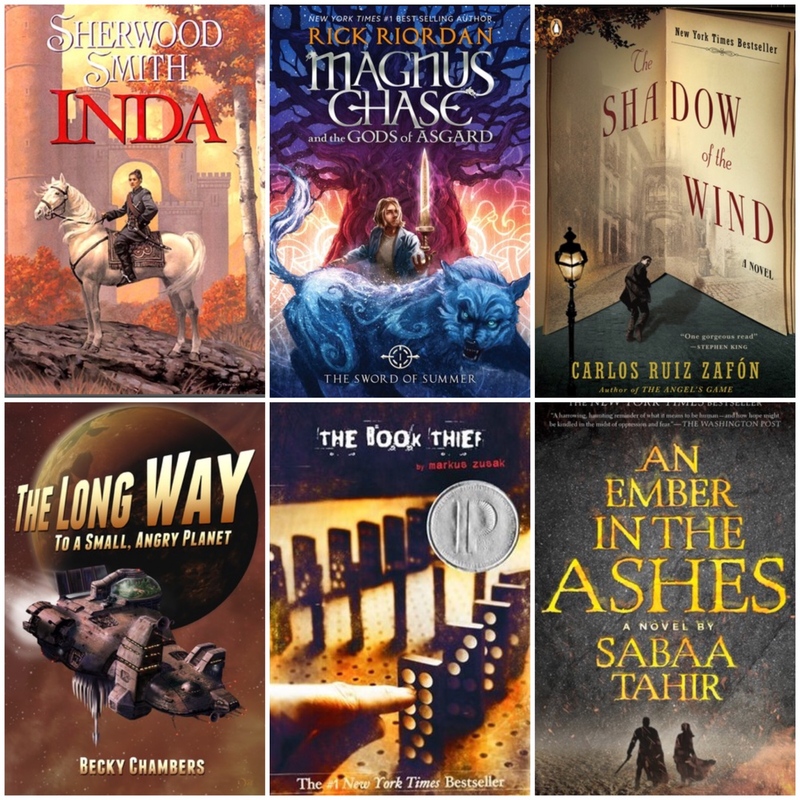 Omg I hope you can find time to read The Shadow of the Wind and The Long Way to a Small, Angry Planet because those are two of my favorite books from this year! 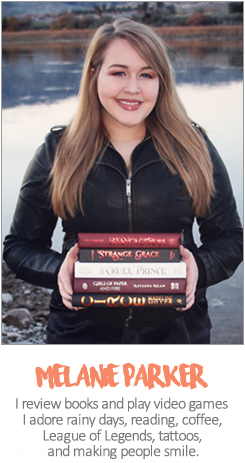 (I’m glad you decided to keep them on your tbr!) ALSO yes you should definitely read An Ember in the Ashes!! I’m so excited to read the third book in that series haha. I love An Ember in the Ashes. I still need to read the third book! The Book Thief is a great book and I believe it has a potential to become in a few years a modern classics. I highly recommend it. I have similar relationships with An Ember in the Ashes. I’ve seen so many good reviews and I’m eager to read it, but somehow didn’t get to it yet. I think Long Way and Shadow of the wind are the keepers in this list. Have fun reading! The Shadow of the Wind had been on my TBR forever too I started reading it two days ago and I fell totally in love with it at page 1!!! I regret not getting to it sooner it’s a gem! Hope you get to it soon! I read and loved the Book Thief, although it did make me cry! I have the Small Angry Planet and Ember in the Ashes on my own TBR. I think you made good decisions! I’ve never had a buddy read before… so that would be really exciting. I already own Ember in the Ashes…. so whenever you get caught up with your ARCs … September or October would be great!! oh this is such a good idea! Maybe it’s time for a virtual & physical shelf clean up video?